Did an Instagram post just reveal that X Factor is fake? 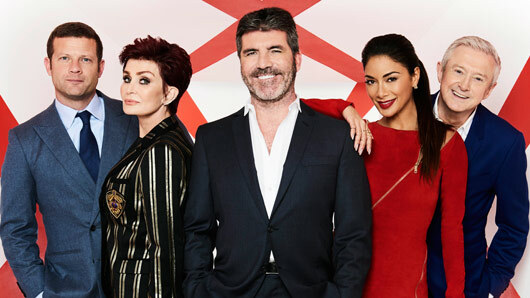 Former X Factor contestant Marcus Collins has caused a bit of chaos on social media this week by insinuating that the X Factor is a complete set up. During the 2011 series, Marcus was the second runner up to successful girlband Little Mix. And it looks as though he may be a tad bitter about it, as he’s now exposed the ITV show to be fake. Marcus certainly caused a stir amongst his followers with this cryptic Insta post, and now everyone is wondering how realistic this reality show is exactly. Of course, Marcus has kept things ambiguous in keeping his caption implicit, although the image would certainly suggest he was indeed directing his comment at the X Factor. This isn’t the first time the show has been accused of being a fix, with allegations of lip-syncing or false results emerging in the past. Is this just one step too far this time? Surely it can only be a matter of time until fans get fed up of the fakery. The second week of the live shows commences this weekend as the remaining 11 contestants battle it out in a Motown themed episode. Who will be the next to go?